How do you announce the biggest change in a beloved brand's 80-year history? By not saying a word. 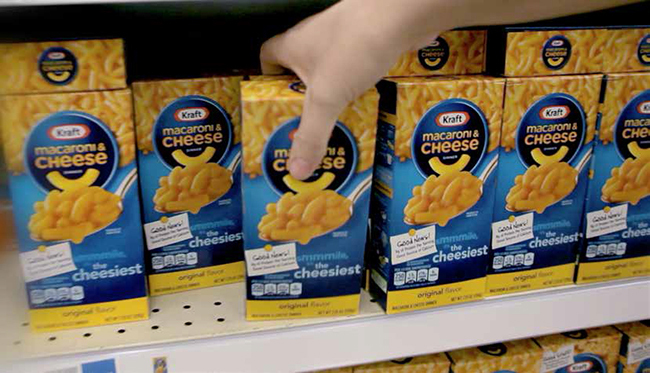 As the world shifts toward better-for-you foods, Kraft was looking for a way to launch their new recipe featuring no artificial flavors, preservatives or dyes. But change is scary. Especially when it comes to an iconic American brand. So we worked with Kraft to develop a communications strategy that made the product change virtually indiscernible on-pack, while going dark in all media for three months. During that time, consumers purchased over 50 million boxes of the new recipe and virtually no one noticed a difference in taste. Only then did we announce what we had done: successfully pulled off the World's Largest Blind Taste Test.